I am always trying to find creative ways to inspire my students when it comes to writing time. The struggle is real for some of my kiddos, just to even get started! 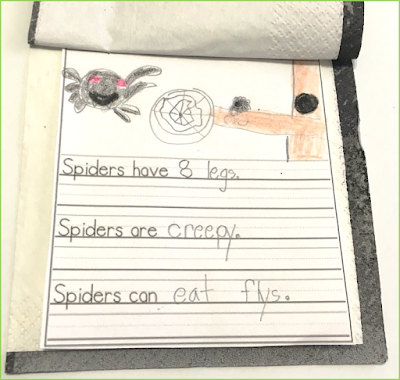 Napkin books are for sure one of my favorite ways to motivate my students to write and using them is something I have done in my classroom for years. Sometimes I put lined paper with prompts inside, and other times I just staple blank paper inside. • Brainstorming made easy! Many students struggle with brainstorming topics to write about and spend the majority of their independent writing time “thinking” rather than writing. Having a fun cover or writing prompt guides them in a direction so they can begin the actual writing process quicker. • Get over the fear of a blank page! 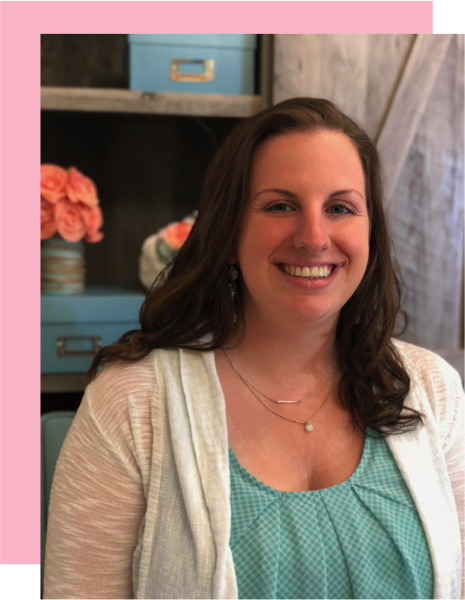 Students who get overwhelmed at the thought of writing will find comfort in the pictures, lines, or prompts being there to help them get started rather than a big empty page. Plus, the napkin inspires students and gives them a starting place. • Spice up Work on Writing time! Many students get tired of the same writing journal routine each day. Add some color, creativity, and inspiration. • Students love having their work published! When students feel that their work is important and special, they are more likely to put forth their best effort. 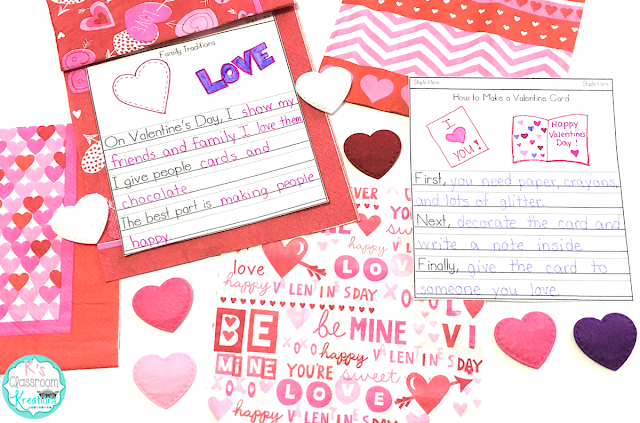 Students can easily create their own books to share with family and friends. Or, you can create class books. • Students can be creative! One napkin design can be used for dozens of writing possibilities, everyone can come up with something unique, and as teachers you can cater it for the style of writing you happen to be working on at the time (opinion, narrative, informational, etc.). 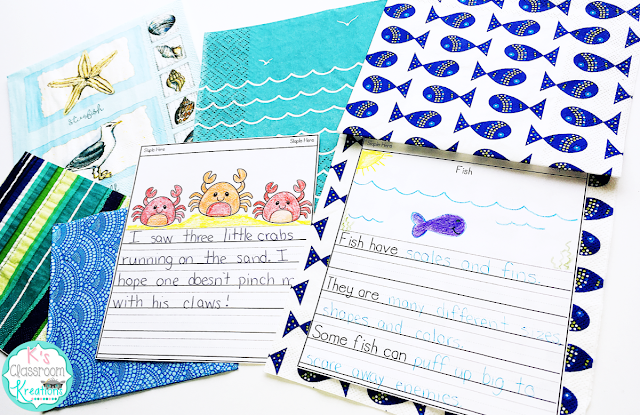 • Practice handwriting and fine motor skills! In the past I have always just stapled blank printer paper inside of my themed napkins. 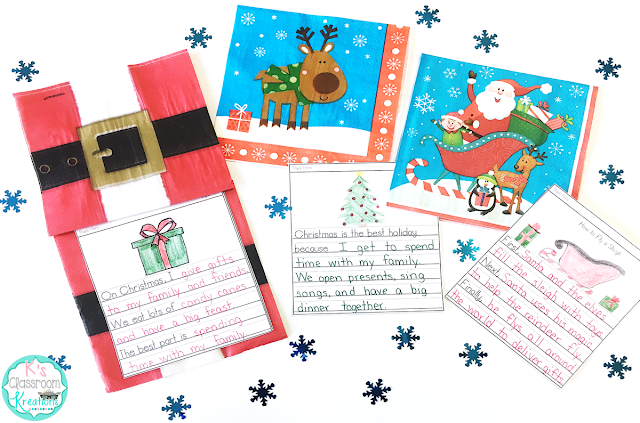 However, this year I wanted to provide the support of lined paper for my students who needed extra handwriting practice and had trouble organizing their sentences visually when using blank paper. 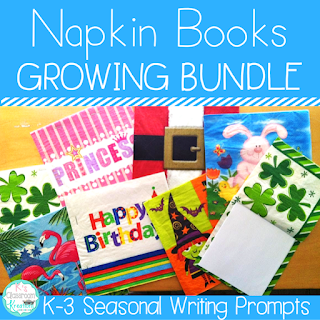 You can see a collection of writing prompt pages for napkin books here. 1) Buy themed/decorative napkins. I like to buy mine at the Dollar Store or when they are on clearance after a holiday to stock up for the next year. Craft stores are also great places to find them. 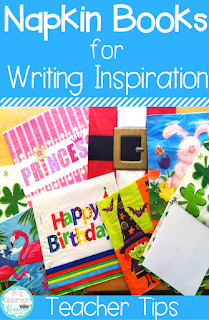 I have used everything from Disney themed napkins, sports, holiday, birthday, food, and more. 2) Put the style of paper in that best fits your purpose. You can put blank paper inside of books, colored paper, or writing prompt pages. If you are interested in taking the work out of creating them, I have designed dozens of writing prompts. Simply print the pages (in 1/2 or 1/4 sheet sizes based on the napkins you buy). You can create books on one topic or combine several prompt pages to allow for student choice. 3) Staple booklets together. Add a few staples to the top to secure pages. 4) Write. Allow students to create their own themed napkin books. Students could also add themed stickers to enhance illustrations. Since one napkin design can be used for dozens of writing topics and styles, the possibilities are really endless. As teachers you can also cater the books for the type of writing you happen to be working on at the time (opinion, narrative, informational, etc.). 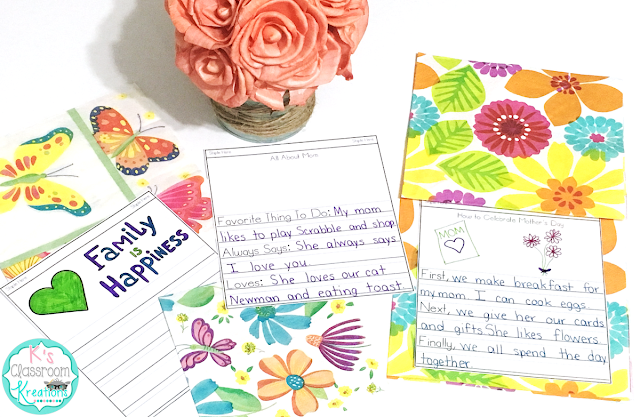 • Work on Writing- Students choose from a variety of prompts and napkin designs for an independent writing activity or literacy center. I like to set out a box of pre-stapled books and let my students choose which one inspires them the most. 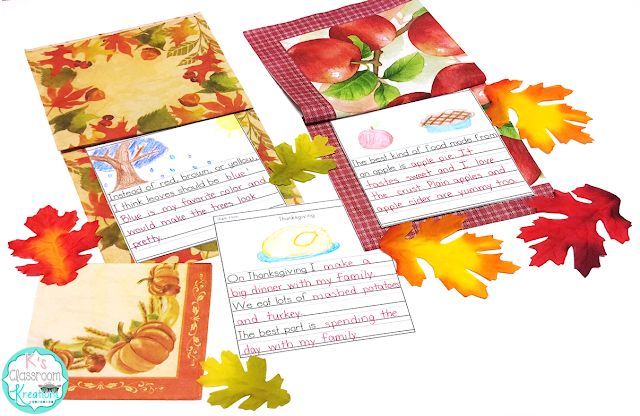 • Final draft/published books- If you guide students through the writing process with drafting, revising, and editing, napkin books are a great (an inexpensive) way to have students publish their final versions. 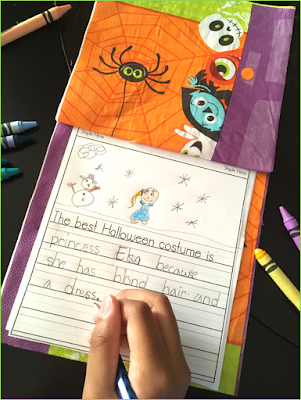 • Class books- Create a class book by passing out one copy of the page you want to each child. Once everyone has completed their page you can combine them into one class book. Create and save books in your classroom library throughout the year. 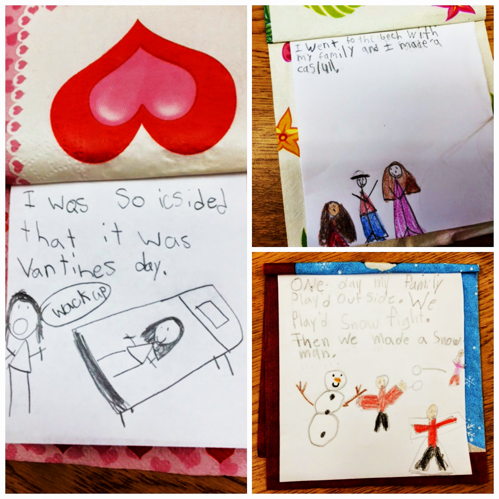 Students will love reading each other’s work. • Gift ideas- Depending on the topic, you can easily have students create a book to give away as a holiday gift or for other special occasions. Friends and families love having something handmade! 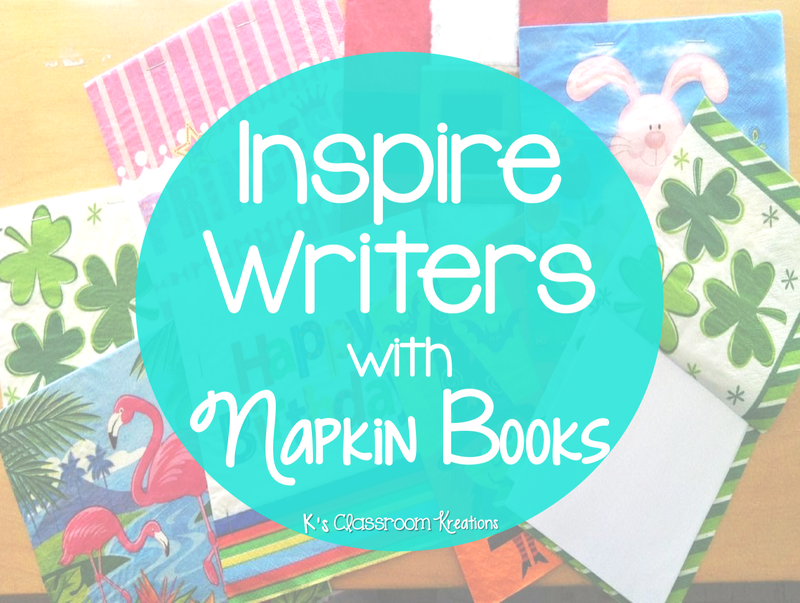 I hope you were able to find a few ideas on how you can use napkin books in your own classroom. My students love them and I hope yours will too.